Success for Springer, the Rehabilitated Orca! She is the first and only orca to have been successfully re-integrated back into the wild with her pod after human intervention. Springer could have easily been captured for a life in captivity: a common fate for stranded marine mammals. She could have been nursed back to health, then taught to perform for our entertainment. Instead, for Springer, it was rescue, rehabilitation, release... freedom. But the feel-good story doesn't end there. In July 2013, Springer was spotted in her native waters with a new calf! Advocates crossed their fingers for the survival of this miracle baby, because many orca infant deaths occur in the first six months of life. To the delight of fans worldwide, the calf was seen swimming next to its mother one year later. As a celebratory milestone, the calf was given the name Spirit. Against all odds, new mother Springer survived and was successfully integrated back into her family-despite human intervention. This is the essence of compassionate conservation. 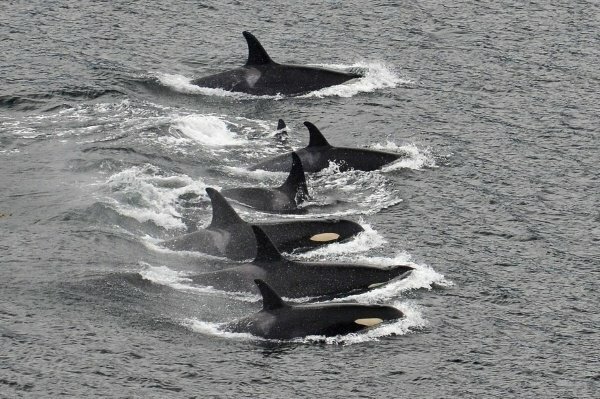 Despite sea parks like SeaWorld that claim to be in the forefront of conservation, there has not been a single documented incident of an orca being rehabilitated and released back into the wild by a commercial sea park. Shame on those who keep cetaceans in captivity... and bravo, Springer! Wild, free, and a new parent.